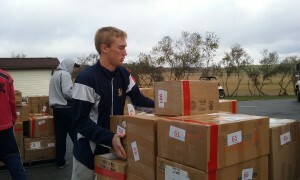 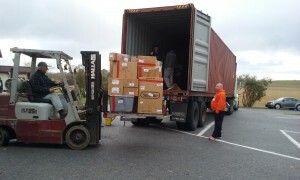 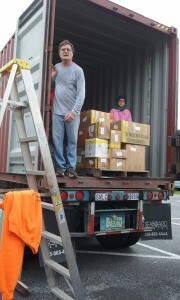 Luke Rosenbaum and Millie Bodenschatz coordinate inside the truck. 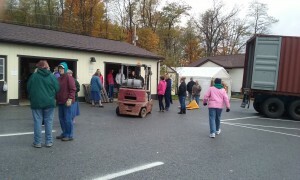 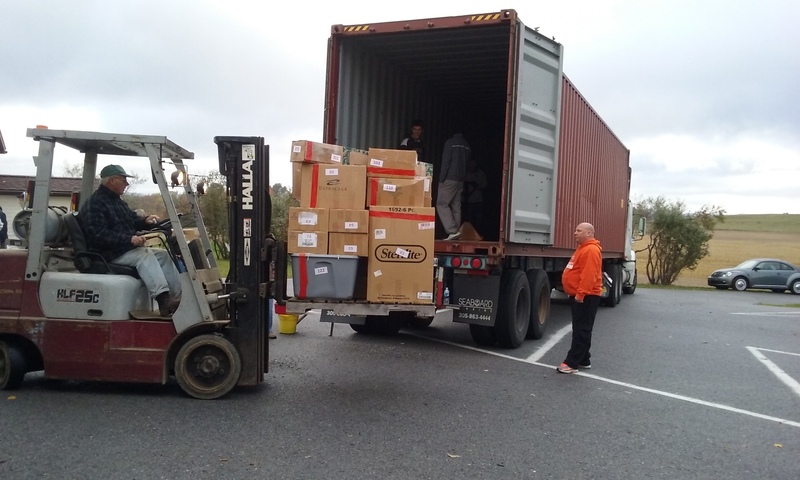 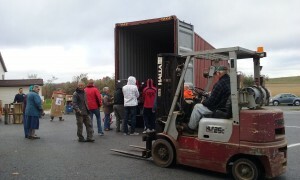 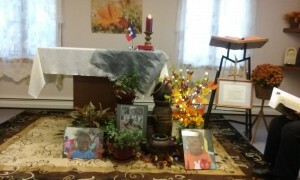 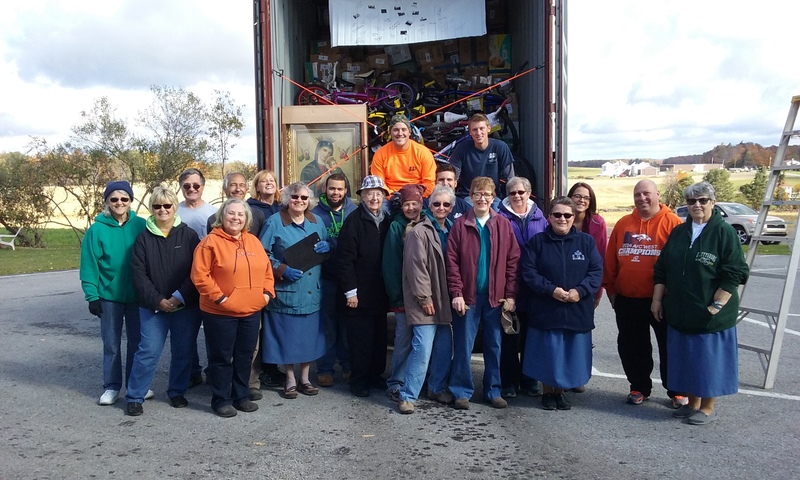 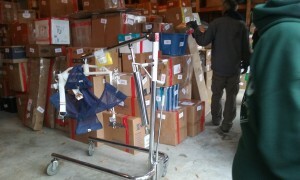 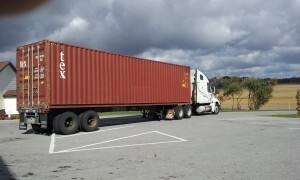 On October 16, 2015 many people gathered on the grounds of the Carmelite Community of the Word Incarnation Center to load the 2015 Sea Container for Haiti. 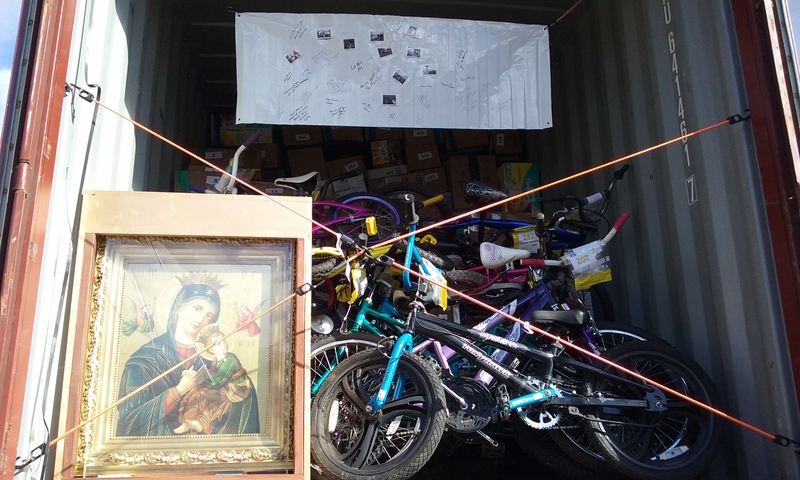 Many people spent precious hours throughout the summer packing all of the supplies generously donated and collected to be used by the Little Sisters of the Incarnation in Haiti for the aid of the people of Haiti. 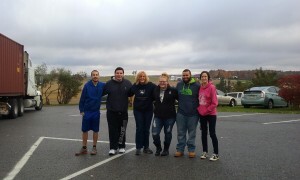 After joining in prayer, these items were loaded onto the sea container with the help of numerous volunteers, including students from St. Francis University in Loretto, Mount Aloysius College in Cresson, employees of Bolger Brothers in Duncansville, members of the Carmelite Community of the Word Society of the Incarnation, CCW sisters and many other volunteers. 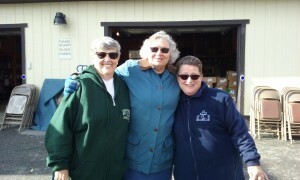 Many thanks to all of our generous benefactors and friends…we can not do this without you! Our Mother of Perpetual Help is placed at the entrance of the sea container, along with the signatures and well wishes of all those who helped today.